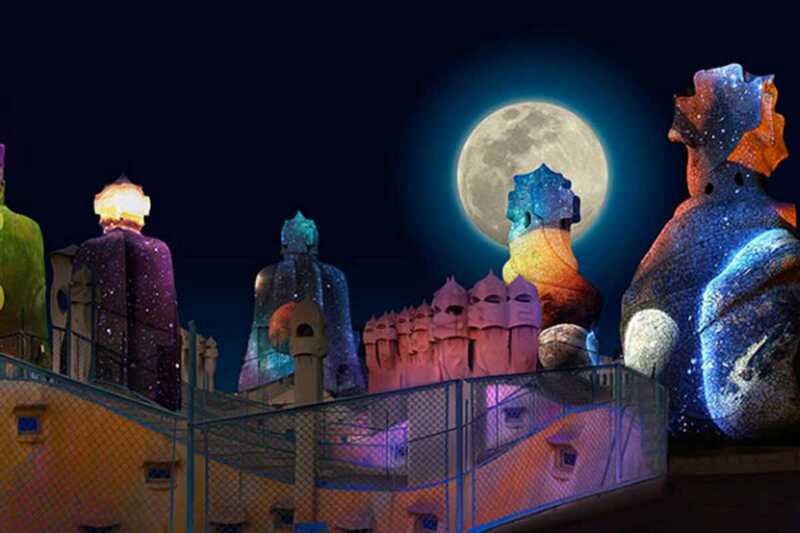 With the summer heat, you’re better off visiting Casa Milà, popularly known as La Pedrera, at night. Available every evening, tours immerse visitors in a unique audiovisual experience, with projections throughout the building and a video mapping with music on the building’s iconic rooftop terrace. The sensory journey includes a visit to the permanent exhibition, featuring an architectural model of the building, and finishes with a glass of cava. Choose to start with a rooftop jazz concert on Fridays and Saturdays at 8:15pm, or combine with dinner any evening at El Café de la Pedrera. Declared a World Heritage Site by UNESCO, the residential building (still partially inhabited) is one of Gaudí’s most emblematic achievements. Gaudí himself, if alive today, would surely appreciate the use of mapping technology to enhance his nature-inspired forms and pay homage to divine creation. .